labor and civil rights activism. Juan Ortiz Cortez submitted a portrait of Chavez drawn in pencil. The conference is considered the larges Latino youth leadership conference in the Pacific Northwest. This year about 2,200 students attended, including several from Albany Options School. 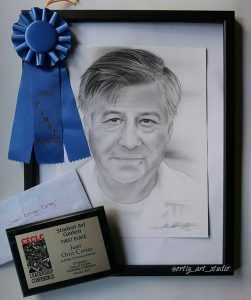 Ortiz was encouraged by the counselor to submit a piece of artwork for the contest. 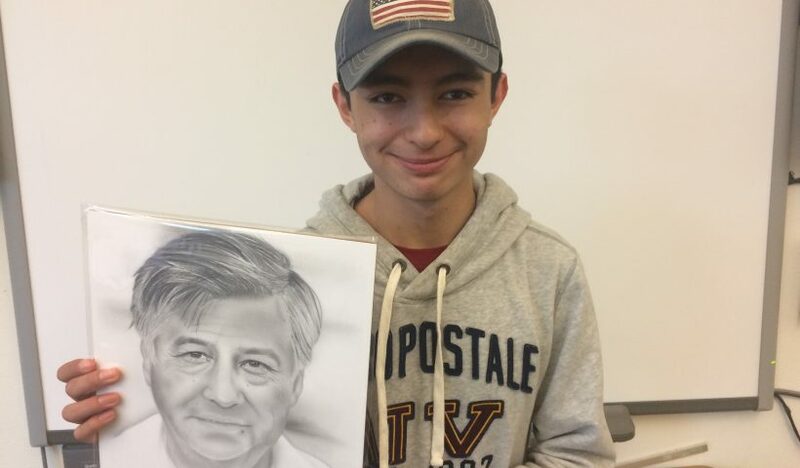 Ortiz won $250 for earning first place, which he plans to use to buy more art supplies. He is mostly self-taught, but has taken some art classes, especially at AOS with Mrs. Gillispie. 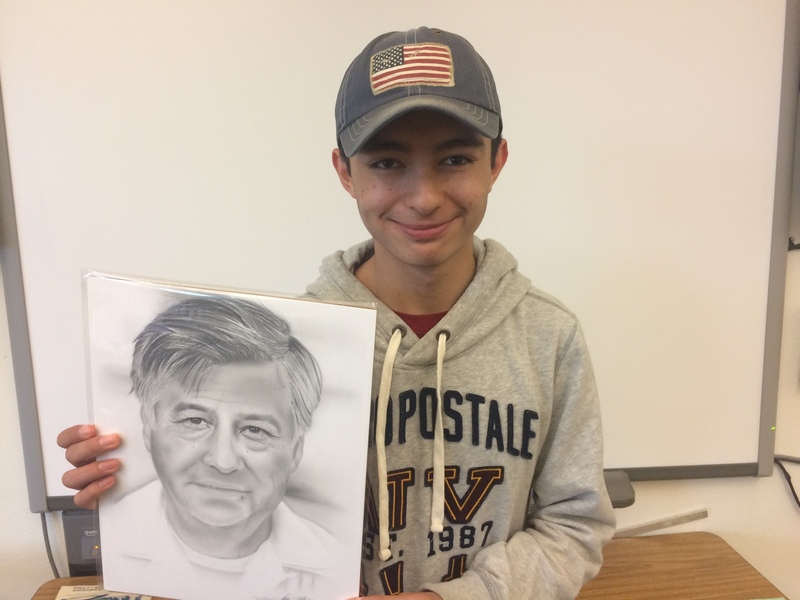 Ortiz stated that he dreams of being an artist as his career. The Albany Democrat-Herald published a snapshot story about Ortiz in the entertainment section of the paper on March 16th, 2017. Ortiz also created the artwork and designed the AOS school t-shirt for the 2016-2017 school year.